Q: We’ve just completed a major de­cluttering session in our home – but we’re still overcome with “stuff”! What’s your advice about maximising storage? A: Good storage is the key to a calm and orderly home. Ideally, there should be a place for everything. This means that no matter how messy your home gets, everything will have a ‘home’ to return to. Spend time going through your house room by room. Start at the front door. No cloakroom? Think about wall hooks, fixed at 120cm above the floor, high enough for hanging most coats, but below eye level and not visually overwhelming. A ledge above the hooks is useful for keys and post. A hanging rail is best for coats and will need a recess 60cm deep. 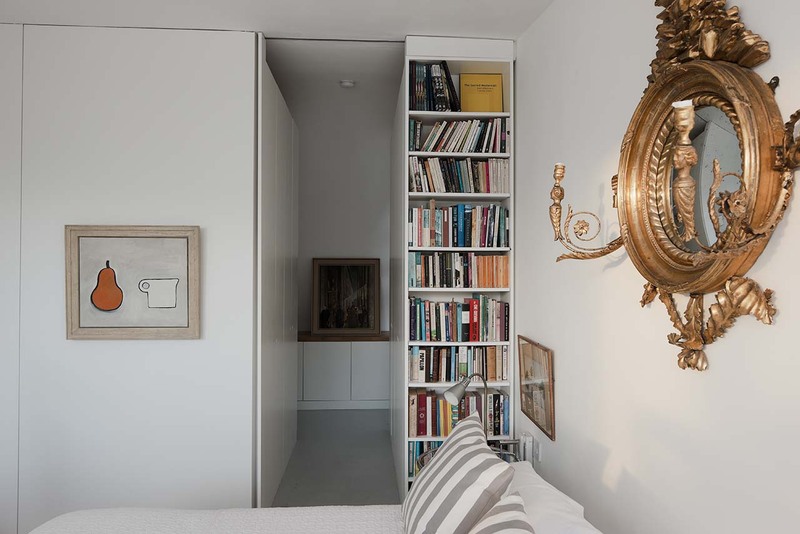 Cupboard doors – including doors to the hot press – should be full height to allow access to shelves at a higher level. Fix hooks at varying heights on the back of all cupboard doors and on cupboard walls to hang all sorts of objects. If you have no space for a utility room, consider creating a 60cm deep laundry cupboard. Place the washing machine and dryer side by side with a counter on top for laundry baskets. A rail 120 cm above this will be perfect for hanging clothes as they air. Add a heated towel rail and a vent to the outside and you have the ideal, year-round laundry solution. A tall slot to one side for the ironing board and clothes horse would be a bonus. Where possible, shelving should be adjustable, with the holes for shelf supports at 5cm centres. Gather objects of similar heights together and locate the shelves accordingly. This is especially useful in kitchen, bathroom and book storage. Slatted shelves in the hot press should be 30cm apart: any higher and the towels and duvets topple over. Toys are best stored on open shelves, with separate tubs or baskets for each type of small toy like plastic food and animals. Rotate toys where space is limited and remember that they get smaller as children get older. Store out-of-season clothes and accessories in the attic. These are best vacuum-packed, both to save space and to protect items from dust. Label them to make it easy to retrieve items as you need them. In general, custom-made storage will make best use of every available centimetre and may prove a reasonable option if simple materials, like painted MDF are used. Your storage needs will evolve constantly. Active, ongoing management of your belongings, combined with flexible storage solutions, are core weapons in today’s battle with “stuff”. Consider consulting a registered architect, when considering any work or changes to your home, you can find one on riai.ie.